To experience a Central European city without the tourist hordes and at a fraction of the cost of Prague, visit Zagreb, Croatia, in the former Yugoslavia. You’ll enjoy sidewalk cafes, beautiful churches and varied architecture, elegant and quirky museums, an unhurried approach to life, a spooky ghost tour of creepy sites, and more. Here are 9 reasons Zagreb will win you over if you make the trip. Are you drawn to European cities in part for the unhurried culture of sidewalk cafes? Cafes are spots to stop for a coffee or a glass of wine, to enjoy the moment with friends, family, or on your own. Zagreb’s sidewalk cafes are open from morning to night for drinks, snacks, or a full meal. While cafes are plentiful, one lively Zagreb street, Tkalciceva, bans cars and is lined with sidewalk cafés on both sides, perfect for people-watching. 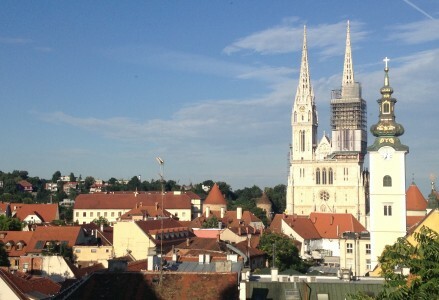 Zagreb was formed from two medieval towns. Later, it was part of the Austro-Hungarian empire, and then had a homegrown arts and crafts school and Art Nouveau movement. 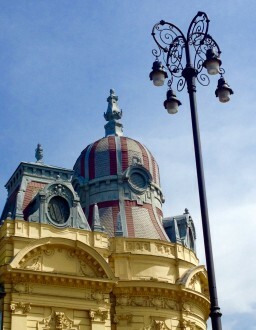 Zagreb’s architecture reflects all of that. Fragments of the medieval walls remain. Zagreb’s houses are topped by orange tiles that contrast beautifully with the blue sky and green trees. 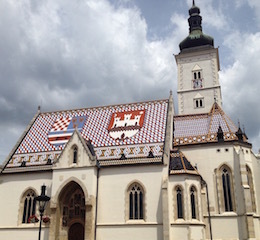 St. Mark’s Church, which has colorful roof tiles creating a national coat of arms, and the neo-Gothic Zagreb Cathedral are both architectural highlights. Walking Zagreb streets, you’ll see elaborate flourishes on buildings such as the Main Railway Station, the Croatian National Theater, and elegant wrought iron street lights. 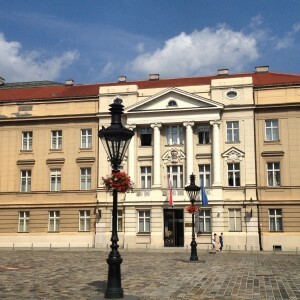 But to explore gems you likely would not discover on your own, take the Secrets of Zagreb tour. Your friendly and informative guide, Iva Silla, will take you to the Botanical Garden, a green respite in the middle of this urbane city. Iva will bring you to the 19th century Funicular, the shortest public transportation ride in Europe, about 45 seconds, making sure you appreciate the panoramic view from the top. 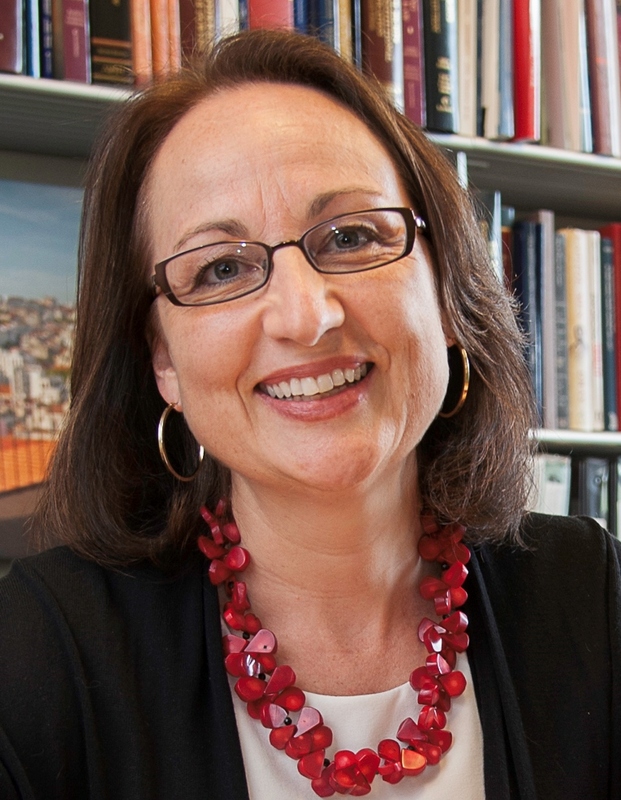 In excellent English, Iva will explain why a city of church bells has a noon gun (and warn you before it goes off). You will peek into a museum devoted to mushrooms, learn why a main gathering place, Jelacic Square, used to have a different name, and visit other spots you’d miss on your own. This is a private tour you book in advance. Be prepared to walk. Who can resist a city that has a flourishing museum about – get this – emotional heartbreak? In the Museum of Broken Relationships, real people have written their own dark stories of unrequited love, absent mothers, breakups of young couples and of decades-long marriages. In the few rooms of this unique museum, each story is in English. Each broken relationship is represented by a physical object that played a key role in the relationship. The objects – a stuffed animal, a toaster, a dress, a pair of shoes – are displayed alongside the story of the relationship. All of the Broken Relationship stories are emotional. Some are funny. Some are racy and others are X-rated, so this Museum is not appropriate for all families. The Museum has a shop and an adjacent café. At the Zagreb City Museum, skip the prehistoric and early history rooms, and go directly upstairs to the 19th – 21st century history of Zagreb. We were moved by seeing consequences of the bombing of Zagreb during the Homeland War in the 1990’s: a short film, a fancy upholstered chair shredded by a shell, the jagged remains of a china set. We especially enjoyed watching a short film excerpting snippets of Zagreb animators (even though we could not understand the words) and seeing the actual Oscar awarded to one Zagreb animator. Communist political propaganda posters and commercial posters from Zagreb before it was part of a Communist country are bright cheerful art, plus they offer insight into the shared traits of Communist and capitalist messaging. life-sized dioramas of a 19th century barber shop and of a beauty parlor where a contraption to style women’s hair had so many electrical plugs it looked like a sculpture of the Bride of Frankenstein. The large 18th century house of a Croatian sculptor, Ivan Mestrovic, has been converted into a museum to display his work, often significant portraits of Croatian historical figures, his family, and nudes. Mestrovic was new to me. I learned he was internationally famous, a colleague of Rodin’s. In the Mestrovic Atelier, most rooms feel like a private house where the only furniture is sculpture. Additional modern rooms and a small outdoor courtyard also have sculptures, including one of his mother that has become a national symbol of Croatia. The Croatian Museum of Naïve Art is a gallery displaying paintings created relatively recently but simulating the untrained eye of a self-taught painter. Kids may enjoy the accessible style, which resembles children’s book illustrations. Go to the Arts and Crafts Museum if your family would enjoy wood carved furniture, ceramics, and wrought iron created by the Croatian artisans trained by the school that once was housed in this beautiful building. It is a shame that a law requires fluorescent lights that cast an ugly blue glow on the gorgeous collection. Until August 2015, a fascinating – and better lit – exhibit honors the controversial career of Herman Bolle, the architect who founded the school, and renovated Zagreb’s cathedral by dramatically changing its style. Museum has a pretty indoor/outdoor café. Other big museum draws are the Gallery of Old Masters and the Museum of Contemporary Art, which we did not visit. We took advantage of the strong dollar to visit Zagreb from our home in Philadelphia. 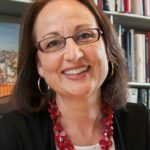 Since the U.S. dollar is strong against the Croatian kuna in 2015, a luxury hotel in Zagreb costs only slightly more than a Holiday Inn costs here in the U.S. Example: we stayed in a luxury hotel located walking distance from major tourist destinations, in an historically significant Art Deco building constructed to welcome guests of the fabled Orient Express train, with free wifi and turndown service, for $139 a night (Esplanade Hotel). There are also mid-range hotels, AirBnB, and hostels in Zagreb. If housesitting would work for your family, here are tips on how to arrange a house swap. When it is dark outside and a woman dressed in a black gown with “blood” dripping from her mouth beckons you to approach her lantern, you know you are in for a fun and spooky tour. Take this storytelling tour of the medieval and Upper Town of Zagreb to learn about mysteries of the secret brotherhood of the Dragons, meeting places for covens of witches, haunted alleyways and spooky fates of Zagreb citizens. Be prepared to walk a lot. And to get scared – who knows, some of the stories may be true. The Ghost Walk is good for ages 8 and up, depending on your child’s tolerance for creepy tales. Group tours in English begin at 9 pm. 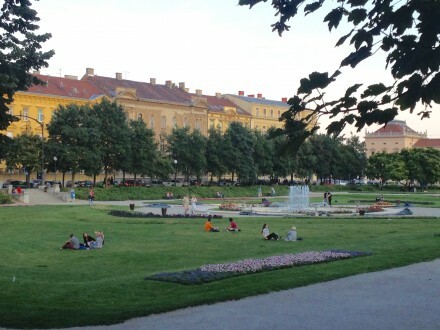 If you need a break from city life, and wonder if there are green spaces within Zagreb but unfamiliar even to locals, book the Leafy Zagreb tour with guide and anthropologist Andrea Pisac Freskura and guide Iva Silla. Wear comfy shoes for a 3-hour tromp through tree-covered areas within Zagreb that are virtually forgotten, and learn about artists who used to live in grand houses tucked away in urban wilderness. You can also book it here. Have you ever been to a bar with toys and games for children? Or a changing table? That kids are welcome is obvious at Zagreb Eye, an air conditioned lounge bar on top of a modern 16–story office building, Zagreb’s second tallest. This is a good place to get your bearings on Zagreb’s layout, enjoy the sunset, and appreciate the view of the city and mountains beyond. Plenty of seats when we were there for sunset on a Monday in June. Enter the office building off Jelacic Square, take the elevator to the top floor, entrance fee of 20 kuna (about $3, half-price for kids over 3) gives access all day (10 a.m. – midnight). Play games with the kids while taking in the view, or walk on all 4 sides of the building to get a 360 view. Drinks are extra but not required. Bars on the windows for safety break up the view but are easy to see around. 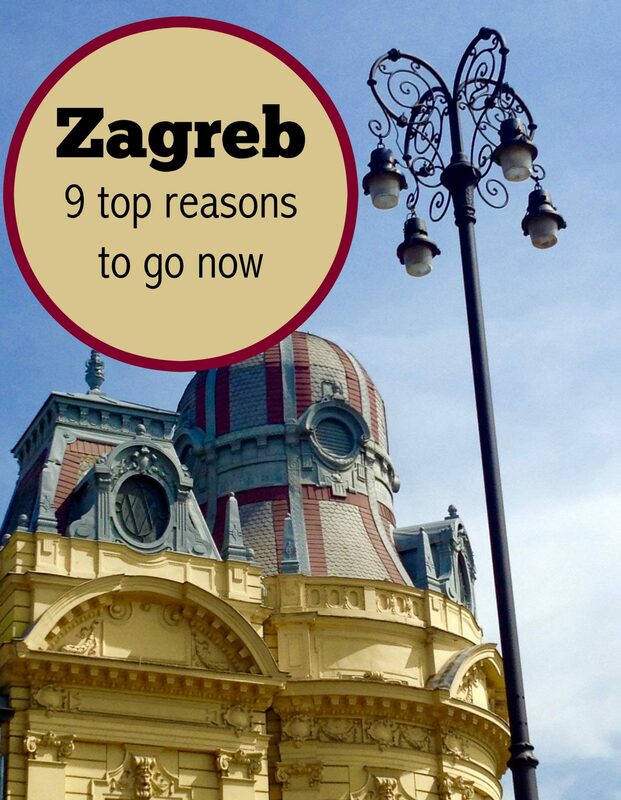 Have you been to Zagreb? What was your favorite thing to do there? Share with us in the comment section below. Thank you so much for this correction! Very appreciated. We loved your city so much, we can’t wait to return to Zagreb, and other places in your beautiful country. I’m so glad you’re thinking of visiting this sometimes overlooked European capital city. Such a pleasure to visit an elegant city in Europe that is not overrun with tourists. We loved it. Enjoy!